Discover the charm and history of Alamo City from Courtyard San Antonio Downtown/Market Square. 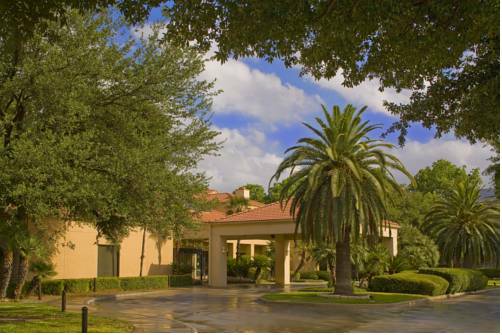 Our hotel in San Antonio, TX offers quick access to the city's most popular attractions, including the famous River Walk and the illustrious Alamo as well as Market Square, an outdoor plaza known for its colorful shops and restaurants. Six Flags Fiesta Texas, SeaWorld San Antonio, several gorgeous golf courses and San Antonio International Airport are also within close reach. Kick off your day at The Bistro, our on-site restaurant open for breakfast and dinner, then enjoy a brisk workout in our modern fitness center or sun-bathed outdoor pool. Plan a productive corporate event or memorable social gathering in either of our two event rooms, available in a variety of arrangements. After a day of exploring, return to our San Antonio Market Square hotel and relax in spacious accommodations featuring contemporary decor, free high-speed Wi-Fi and comfortable bedding. Make a reservation at Courtyard today!